If adjustable beds are new to you, you might be wondering why someone would buy a product like this. The answer lies in a large number of conveniences that these beds offer. Unlike traditional bases, these new adjustable bases can be raised or lowered and adjusted to many positions which allows users to raise or lower their upper body or legs. 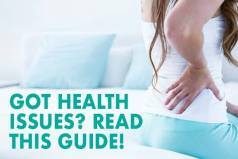 This can further relieve pressure on their backs, improve blood flow, reduce pain, help them relax, fall asleep faster and get a more comfortable night’s sleep. The flexibility of these bases is also known to be effective in solving problems with certain health issues such as sleep apnea, acid reflux, high blood pressure, snoring and breathing issues, fibromyalgia, etc. In today’s review we’ll take a look at one such adjustable bed coming from Tomorrow Sleep. Click here for the lowest price available on a Tomorrow Sleep Adjustable Base. Launched in the summer of 2017, Tomorrow Sleep is an innovative sleep company that leverages the knowledge, research and engineering expertise of Serta Simmons Bedding. It managed to create a truly unique sleep system capable of delivering everything you need for a restful night’s sleep. Tomorrow Sleep offers high-quality mattresses that provide great comfort and support, pillows, breathable bedding, blackout drapes, a smart Sleep Tracker monitor to help you understand and improve your sleep and a durable adjustable base. Each element of their system is designed to work together and provide you with the ultimate sleep experience. As we have already mentioned, in today’s review, we’ll take a look at the Tomorrow Sleep Adjustable Base. It has great functionality for such a low price and allows you to raise or lower your head and feet, save your favorite positions (in addition to the preset positions), charge your smartphone, tablet or any other portable device through a USB port, etc. The Tomorrow Sleep Adjustable Base is designed to work on its own. It has no attachments for headboards or bed frames, but can fit in a slatless style bed frame that fits it dimensions. 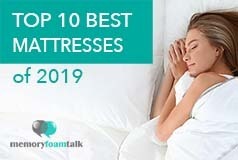 So you can try it along with any frames, headboards, or other bedding furniture that you may already have, and it will work with any mattress designed to fit an adjustable base, whether it be innerspring, memory foam, latex, or hybrid, but especially with the Tomorrow Sleep mattresses. The Tomorrow Sleep Adjustable Base is made of a durable dual steel frame with powder coat, six legs and a platform wrapped in a soft fabric that gives it a nice look and feel. A more structural steel provides a greater support while the powder coat finish resists chips, dents and rust. The legs of the base are adjustable as well which gives you the option to adjust the height of your base. It has somewhat thinner construction than the previous adjustable bases we have reviewed but it is sturdy and durable with the weight limit of 750 pounds. When laid flat the base raises your mattress 15 inches from the ground, including the 12-inch legs. When used with a 10-inch Tomorrow Sleep hybrid mattress, the surface of the bed is around some 25 inches from the ground in the flat position. The base is equipped with quality motors that operate independently of each other and are controlled via a wireless remote. The wireless remote is battery powered. It is easy to be used and allows you to lift the head or feet area, select how far up or down you want to go and control your comfort. The remote is equipped with the led light that can be activated by motion which allows you to see the buttons during the night. The base is also equipped with built-in USB port which gives you the possibility to charge your tablet, phone, or any other portable device and have it near you in case you need it while relaxing. Besides this, there is a large metal retainer bar at the bottom of the platform that goes at the foot of the mattress to help you keep the mattress in place while adjusting the base. Assembling the Tomorrow Sleep Adjustable Base is a simple process that doesn’t require help of handymen or any special tools. It will be delivered right to your doorstep, and all you’ll have to do to is to take it inside, unpack it, attach the motor to the base, plug the cables to the power supply, screw in the legs, turn it over, and plug it into the wall to operate. So a few simple steps is all it takes to set up your Tomorrow Sleep Adjustable Base and the whole process will take you less than 15 minutes. The Tomorrow Sleep Adjustable Base is available in both split and single options and they can perfectly fit a great variety of mattress sizes. This time again, we used a single base (Queen size) and it worked perfectly well with our Tomorrow Sleep mattresses. We are satisfied with its overall comfort and support and how silently it moved when we wanted to change position. With this base too, we were forced to make certain compromises as we couldn’t adjust positions to our liking separately. 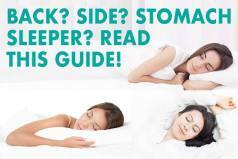 But we are primarily side sleepers and it worked perfectly for us when when sleeping on our sides and we felt our hips and shoulders to be properly cradled and supported. As for other positions, we didn’t feel any discomfort while sleeping or relaxing in other positions as well and didn’t feel our spines to be out of alignment. The Tomorrow Sleep Adjustable Base offers many options lift your head and feet while in bed for a variety of positions. In addition to this, it also offers you the possibility to create and save two of your favorite positions and reach them every time you go into bed simply by pressing one button on your wireless remote. So, the base allows you to elevate your head and feet to create a comfortable position for watching television or reading, and it also allows you to elevate your head and feet to create a perfect position for rest and a comfortable sleep. Besides these ordinary positioning options, the Tomorrow Sleep Adjustable Base offers zero-gravity positioning as well which simulates the sleep position of astronauts in that it arranges the bed to slightly raise your legs and back to make you feel like you are floating. This position helps relieve pressure on your body, improves blood flow by allowing it to flow back to the heart, stimulates relaxation and rejuvenation, and reduces stress and fatigue. There is also the anti snore option which gently raises your head to facilitate breathing and help reduce snoring. It may be a huge benefit for you, especially if you share your bed with a partner. Finally, the Tomorrow base, in addition to the variety of sleeping positions it offers, comes with a built-in USB port which allows you to charge your smartphone, tablet or any other portable device and have them near you in case you need them. The Tomorrow Sleep Adjustable Base is pretty reasonably priced, coming in at $999 for a Queen, which is an excellent price given the quality construction and all the conveniences that this adjustable base offers. What most impressed us is that this adjustable base, just like the Nectar and the Puffy adjustable bases we have recently reviewed, offers a trial period. As I mentioned in the previous reviews, sleep trials usually don’t apply to adjustable bases because they weight a lot and are complicated to ship and return, but trying this base totally risk-free as it comes with a 365-night trial period. So, if it’s not your thing, you can return it for free within 365 days. The base also ships for free and arrives in 2-3 business days. It comes with a 3-year basic limited warranty which includes full one year warranty for all parts and labor, including electrical components, drive motors, power supply, and factory supplied electronics and 2-year limited warranty thereafter. Is the Tomorrow Sleep Adjustable Base Right for You? A sleek adjustable base that will perfectly blend with your Tomorrow Sleep mattress – The Tomorrow Sleep Adjustable Base has a sleek metal construction wrapped in soft grey fabric that perfectly matches the design of Tomorrow sleep mattresses, so it is not only highly functional but also aesthetically pleasing and it will be a nice addition to your bedroom. An adjustable base with many features – Besides ordinary features such as head and foot incline, this adjustable base also offers you the possibility to adjust it to a position perfect for watching TV and reading and to an anti snore position that will facilitate your breathing and help you solve your problem with snoring. Besides this, the base can be adjusted to zero gravity position which can improve your blood flow, relieve pressure points on your body, help you with swollen feet, stimulate relaxation and rejuvenation, and reduce stress and fatigue. An Adjustable base that comes with 365 days of trial – Unlike most other bases that don’t have sleep trials as they they weight a lot and are complicated to ship and return, this adjustable base comes with 365 days of trial so it is totally risk-free to buy and try it. If you don’t like it, you can return it for tree within 365 days. In general, the Tomorrow Sleep Adjustable Base is great adjustable base that comes with many extraordinary features and more than a reasonable price. We are satisfied with its overall quality and comfort it provides. It is sturdy and durable and it worked perfectly well with our Tomorrow Sleep mattresses to support Andrew’s heavy weight (230lbs) and our weights combined with ease. It provided us with the level of comfort we needed for relaxation and a restful night’s sleep regardless of the position we chose. While the Tomorrow Sleep Adjustable Base doesn’t have a massage feature and built-in nightlight, it comes with many other great features that we mentioned above such as TV positioning, anti snore option, zero gravity positioning and the possibility to create and save two of your favorite positions and reach them every time you get into the bed simply by pressing one button, so it is definitely an option worth considering.